Several people passing by along the trail congratulated the couple. I think it’s always nice when strangers are accidentally included in weddings. I overheard one woman comment to her hiking companion, “Isn’t that great! Three weddings in one walk!” Yes, Malibu IS a popular wedding spot! For me, the icing on the cake came near the end of the ceremony, when the seals down below us started barking, adding nature’s blessing to this wonderful event. Congratulations, Jon and Yuki! 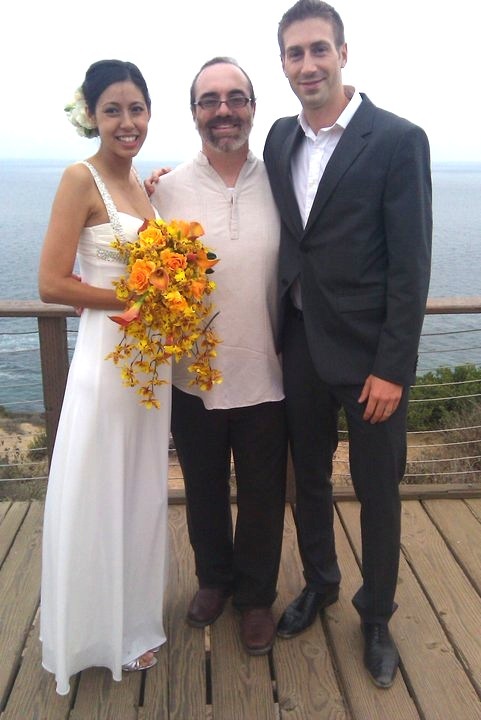 This entry was posted in wedding, wedding officiant and tagged Los Angeles, Point Dume, wedding, wedding officiant. Bookmark the permalink.